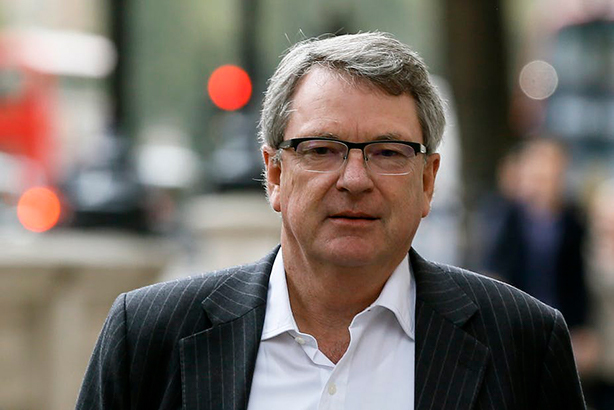 Conservative strategist Lynton Crosby (pictured) pitched a £5.5m lobbying campaign to pressure FIFA into cancelling the 2022 World Cup in Qatar, according to a report in The Guardian. The pitch document, prepared by Crosby’s lobbying firm CTF Partners, detailed plans of how ‘Project Ball’ would run a negative press campaign to have Qatar’s controversial awarding of the world cup cancelled, to ‘restart’ the bidding process. Qatar sensationally beat favourites the US, Australia and a host of other countries to the event in a bidding process that has since been alleged as highly corrupt and involving bribes. A book by Australian journalist and former football administrator Bonita Mersiades exposed a secret deal worth $100m between Fifa and Qatar’s sports broadcaster BeIN Sport, if the Gulf state won the vote. According to the Guardian, CTF Partners approached a London-based self-styled Qatari ‘opposition leader’ Khalid Al-Halil, who is said to be aligned with Qatar’s regional opponents Saudi Arabia and the UAE. CTF Partners confirmed it provided a ‘minimal amount of media advice’ to Al-Hail but no contract was ever executed and none of the work proposed was ever undertaken. In the pitch document, which the Guardian claims it has read, Crosby promised to carry out work that would undermine the credibility of Qatar’s government for £300,000 a month, as well as conduct research linking Doha with terrorism for an additional fee. This would involve identifying and working with allies in the media, politics, business and academia to influence negative perceptions about Qatar and its suitability to host FIFA’s flagship event. Social media and online channels would be used to put pressure on Qatar and mobilise global support against it. Crosby’s lawyers confirmed details of the pitch document to the Guardian and said the proposed work was "hardly controversial", in light of constant allegations of corruption that have been swirling around Qatar’s bidding process and subsequent victory.